Submitted by Angarrack.info ... on Fri, 20/03/2015 - 12:30. Hayle Town Council objects on the grounds that the design and scale of the proposed dwellings are out of place in this location and that the dwellings would impact on the setting of a listed structure. Environment Agency position We consider that this proposal will only be acceptable if the subsequent planning permission includes conditions to cover the control of land raising in the flood plain, design of the boundary to ensure no increase in flood risk and surface water drainage. The suggested wording for the conditions is below. Condition - Land raising No development shall take place until there has been submitted to and approved in writing by the local planning authority a plan indicating the topography and landscaping of the plot. There must be no land raised below 16.3m AOD to the south-west of the proposed dwellings. Information on drawing 386/3 indicates this would restrict landscaping along a buffer of approximately 10m of the south-west boundary of the site. Development shall be carried out in accordance with the approved details and shall not thereafter be altered or removed, other than by necessary maintenance. Condition - Boundary Design No development shall take place until there has been submitted to and approved in writing by the local planning authority a plan indicating the positions, design, materials and type of boundary treatment to be erected. Boundary features in the rear garden within 10m of the south west boundary of the plot shall be of open design to allow free passage of flood waters. The boundary treatment shall be completed before the buildings are occupied. Development shall be carried out in accordance with the approved details and shall not thereafter be altered or removed, other than by necessary replacement. Reason To reduce flood risk to the proposed dwellings, occupants and third parties as a result of the development. Condition - Surface water drainage Before the development hereby approved is commenced, details of a scheme for the management of the site's surface water shall be submitted to an approved in writing by the Local Planning Authority. The details shall include as a minimum: o Details of the final drainage scheme, including pathways and flow routes for excess surface water during extreme weather; o A construction quality control procedure; o A plan for the future maintenance of the system and of any overland flow routes. Prior to the occupation of the site it shall be demonstrated to the satisfaction of the Local Planning Authority that the scheme is completed in accordance with the agreed details. The scheme shall thereafter be maintained in accordance with the approved details unless otherwise approved in writing by the Local Planning Authority. Reason To prevent the increased risk of flooding and minimise the risk of pollution of surface water by ensuring the provision of a satisfactory means of surface water control and disposal during and after development. Removing PD - Garden We also recommend that permitted development rights are removed because the site is located within a flood risk area and we advise that no development, fencing or land raising should occur within this area. The removal of permitted development rights will aid in controlling this aspect. 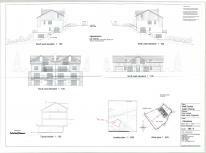 Further information We have looked at flood data available in this area with a view to advising the proposed dwelling is constructed no lower than the 1 in 1000 year modelled flood level. Environment Agency J Flow model data indicates a level in the Angarrack Stream adjacent this location of 16.25mAOD for the 1 in 1000 year flood event not including an allowance for climate change. Surface water drainage This site is located within the HayleCritical Drainage Area. The information relating to drainage submitted with the application indicates how an appropriate surface water drainage scheme could be achieved on site using infiltration drainage. We consider that this is sufficient information for us to condition the final detailed surface water drainage design on the site. Thank you for consulting the Historic Environment Planning Team. This application does not appear to relate to works being undertaken to a listed building and as such the HEP have no observations to make in respect of this proposal. However, any development which can be seen within a view of a listed building (in this case the Viaduct) effectively lies within what can be considered as the setting of that listed building. It is generally beyond dispute that any such development has the potential to affect the setting of nearby listed buildings and, as such, an appraisal should be undertaken by the case officer. This should consider the architectural quality or special interest of any listed building itself along with the nature and appearance of the existing surroundings, taking account of the contemporary context and the way in which the setting of the listed building has changed over time, if it is felt that this proposal might affect the setting of any heritage asset. Thank you for consulting Countryside Access Team in respect of the ramifications of the Planning Application upon the Rights of Way network. I can confirm that Countryside Access Team in it role as Highway Authority for Public Rights of Way has NO OBJECTION to the proposals. However, to emphasize the Authority's duties to Assert and Protect the highway under the Highways Act 1980 I would be grateful if you would append the relevant parts of the text below to the Decision Notice should planning permission be granted. It appears unlikely that the proposed development would have any direct affect upon the public right of way. Notwithstanding, the text below should be included as an Advice Note appended to any planning consent to ensure that the applicant is aware of their obligations as follows This is the Advisory Note: *No building materials must be stored on the right of way*Vehicle movements must be arranged so as not to interfere with the public use of the way*The applicant should ensure they have private access rights to drive motor vehicles on Public Footpaths, Public Bridleways and Restricted Byways where there is presently no recorded public vehicular right of way*The safety of members of the public using the right of way must be ensured at all times*No additional barriers (e.g. gates) are to be placed across the right of way*There must be no reduction of the available width of the right of way for use by members of the public* No damage or alteration must be caused to the surface of the right of way*Wildlife mitigation fencing must not be placed across the right of way. If the Council's policies and guidelines are not heeded we will take such action as may be necessary including direct enforcement action and prosecution. The Council has a statutory duty to ensure Public Rights of Way (PROW) are open at all times and members of the public are not inconvenienced in their use of PROW where development work has taken place. It is noted that the proposed development has new construction that abuts or is close to the boundaries of the public right of way as currently mapped by Ordnance Survey. The text below should be included as an Advice Note appended to any planning consent to ensure that the applicant is aware of their obligations as follows: [This is the Advisory Note] Cornwall Council as highway authority reminds the applicant that Planning Consent for the development hereby permitted has been granted on the basis of the submitted plans that are referred to above in this Notice. 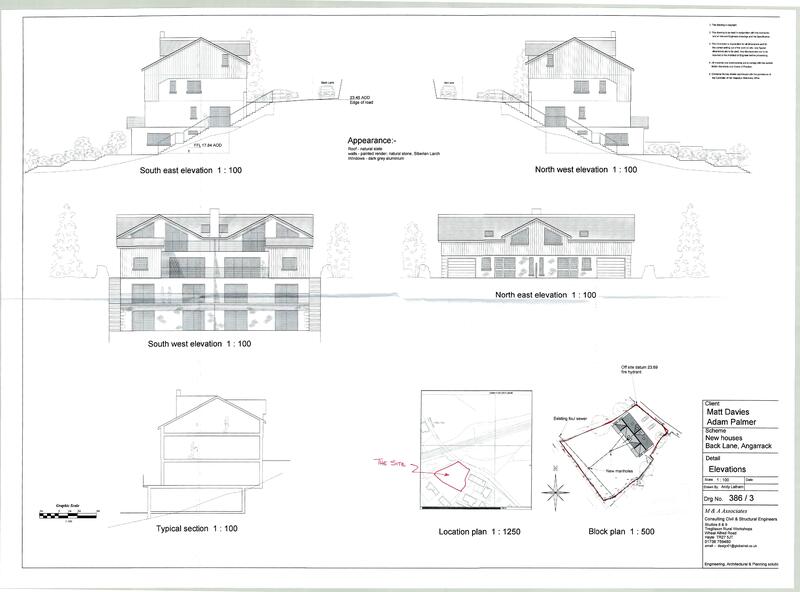 It is considered that these submitted drawings indicate that the construction of the permitted development should not have any injurious impact upon the adjacent right of way provided that the permitted development is carried out as shown in the approved drawings. If subsequent inspections of the development site reveal that construction has been carried out that is not in accordance to the approved drawings and that such works have caused a diminution in the width or extent of the adjacent highway then the authority has powers under the Highways Act 1980 to secure the removal of obstructions and to restore the full extent and surface of the highway.